“You’re a Mean One, Mr. Grinch”: Name a villainous character you couldn’t help but love. Bliss from The Butterfly Garden. She was very sassy and was far more snarl than smile. I loved her. She was so strong in the face of what she endured. A survivor for sure, Bliss and this book were both amazing. “All I Want for Christmas is You”: Which book to you most hope to see under your Christmas tree? As seen on my post Top Ten Books I Hope Santa Brings, I’m really hoping to get Understanding English Grammar. If I don’t, it’s fine (I have a lot of other books on my list) but I think this would be the most helpful! The character that comes to mind right away is Neverfell from a middle grade book that I read and reviewed this year called A Face Like Glass. Neverfell learns that she is a bit quirky, even in the underground city where she lives. She also shows compassion on oppressed people, helping them to get freedom. I was proud of her! a) Lada from And I Darken would be on the naughty list. While her motives might have been for good, it was under a lot of her protective layer of meanness. b) It’s hard to pick a nice character because most of the books I read have characters that are rough around the edges. It’s very hard to write a character that’s very pure and not have it be boring. Saying that, I think Jem from The Infernal Devices trilogy is very pure. 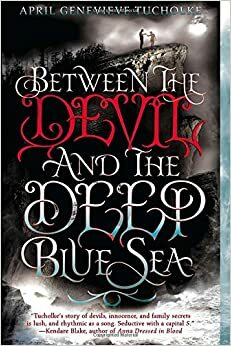 Between The Devil and The Deep Blue Sea melted my heart when I read it. It was just so interesting to me! The House of The Spirits takes place in Chile! I did my final senior project on this book for my undergraduate degree and it always makes me happy to mention it. Umm I don’t have any! I’m pretty much a read-all-the-October-themed-books-all-year kind of girl. However, I’ve been meaning to do a reread of the Harry Potter books and I think those have beautiful Christmases in them. I’d want to spend some time with Sorina from Daughter of the Burning City because it was one of my best books of the year! I’d want to see how her powers work and see the Freak Show! 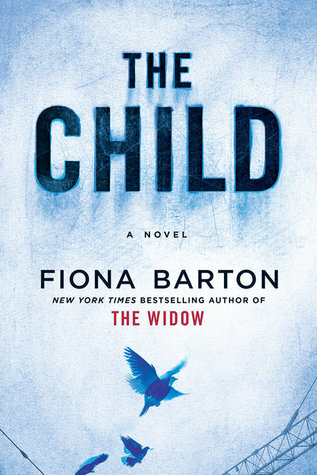 As much as it makes me sad to sacrifice any book, I would sacrifice The Child by Fiona Barton. 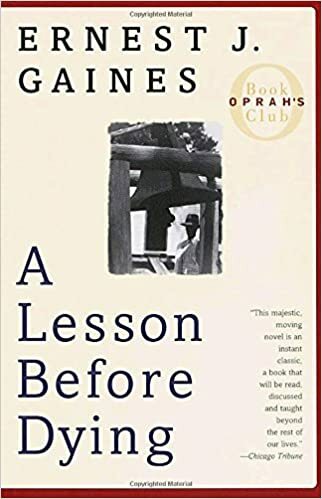 A Lesson Before Dying. It was my favorite book that I read in college. I think it was very meaningful. Let’s chat! What are your answers to these questions! Are you as excited for Christmas as I am? So happy you did this tag! I loved your answers and officially added A Lesson Before Dying to my tbr. Based on what I’ve seen on your blog, I think you’ll like it. At least I hope so! Thanks for the comment Kristin! Oh, love all your choices, Leah! I’m curious about Between The Devil and The Deep Blue Sea melting your heart… Was it really that cute and adorable? I need it in my life! I heard it’s a bit like Twilight? What do you think? I like the sound of The Butterfly Garden and A Face Like Glass, too! Well I’ve heard a lot of people say that they don’t like Between The Devil and The Deep Blue Sea. The main criticism is the romance ( it is very flawed) but I really liked the duology! I can totally see their criticisms but it was just great and entertaining for me. I think twilight would be a good comparison. The Butterfly Garden is great, I’m thinking about doing a review of the first two books in the series, and A Face Like Glass is also really good! Thanks for commenting Sophie!